For disinfecting and simultaneous cleaning of surfaces such as floors and walls in operating theatres and wards, in bathand washrooms and toilets as well as for the disinfection of furniture, medical devices and utensils. 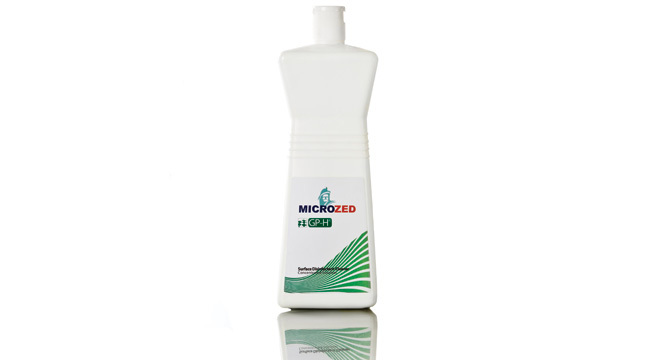 Microzed GP-H is a modern, aldehyde-free surface disinfectant with a pleasant odor.According to the latest demands, this product achieves an excellent microbicidal performance with a comparatively low concentration of active substances. Within only 15 min, already a solution at 2% is fully effective against bacteria, fungi and viruses (HBV/HIV). This high effectiveness allows not only a rapid, but also an economic disinfection, even at places, where short idle hours are important, e.g. operating theatres, baths and toilets.